The eeBoo Alphabet Tot Tower is a fun learning tool for children with 10 blocks that help children grasp the alphabet and numbers from 1-10. They can use these nesting blocks for learning and fun. 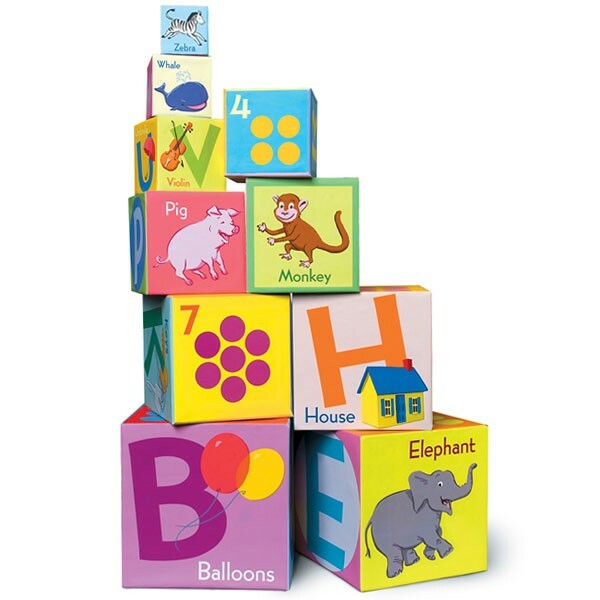 These blocks have colorful illustrations that promote language and concept development. This eco-friendly building block set is made with 90% recycled materials and non-toxic soy based dyes.